I don’t have a style. I dress anything that looked good on me. Anything I feel comfortable with. Bright dresses, bodycons, hot shorts.. are all my favourite. Im pretty cool with any colours thou. But when it comes to the time of the month, I became so ratchet. My dress code is restricted to only BLACK. Black for the entire week. Goodness. BORING! I looked like some fashion disaster. Depressing enough, I have to deal with the cramps and worrying about the stains. My confident level dives deep into hell. With Adore, i can now maintain my fashion style be it whether day or night, any occasion. No longer have to miss out on the best things in life, after all, fashion is a girl’s best friend, RIGHT? 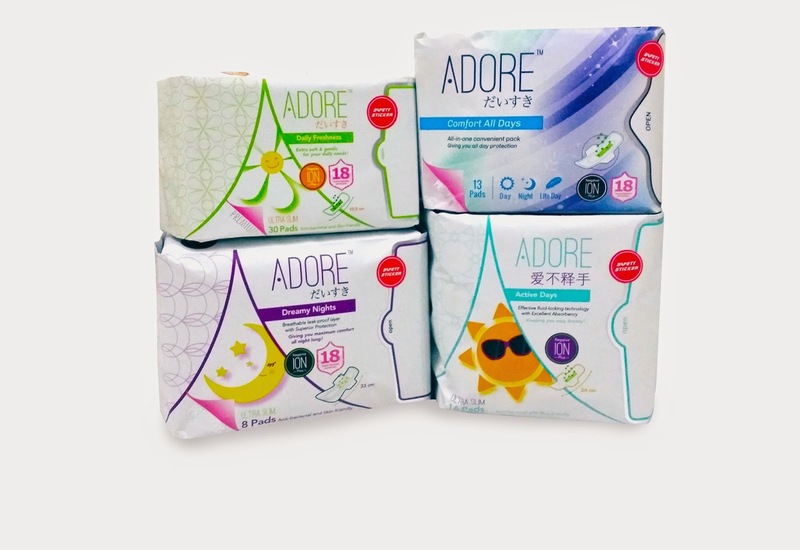 ADORE だいすき has been awarded WINNER Of Best Selling PREMIUM Sanitary Napkins Of The Year 2014 (Watsons HWB – Health Wellness Beauty) Award for the 2nd consecutive Year (2013 & again in 2014). If you haven’t tried it you really should! ADORE Comfort All Days – a combo pack of 13s which was developed as an All-In-One convenience for anyone for the go. 1 pack can last them through an entire period. Green Compound Strip breakthrough technology that inhibits bacterial growth, promoting freshness and improves feminine hygiene, ANTI-ODOUR!!! The best part - Leak proof base and their super slim formula allows me to go wild & free as and when I want, as long as I like. What more??? No clothing restrictions! 365 days, any colours any style is in my favour.